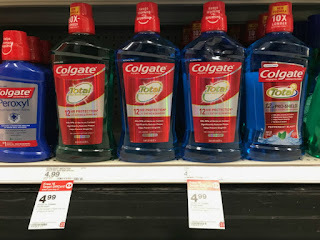 Today there is a new high-value printable coupon available to save $2.00 On any Colgate Mouthwash or Mouth Rinse (400 mL or larger). We also have a high-value rebate offer on the ibotta app plus an in-ad Target coupon to grab them for FREE!…. Or, you could mix & match with other oral care that we have coupons and rebates for to make for another great deal….